On April 23rd, Barcelona and Catalonia celebrate one of their most beautiful and important holidays – Saint George’s Day, or la Diada de Sant Jordi. 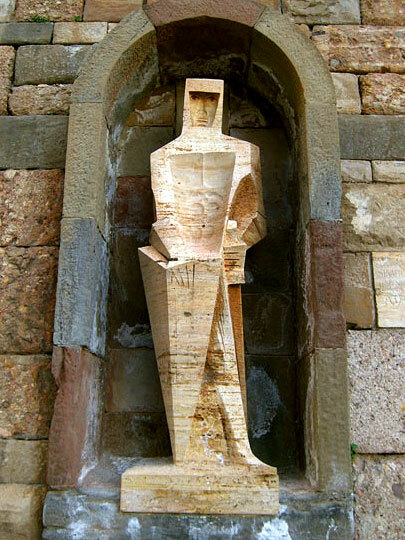 Saint George is the patron saint of Catalonia (together with Our Lady of Montserrat), which is why you can see numerous statues representing him in the streets and buildings of Barcelona. 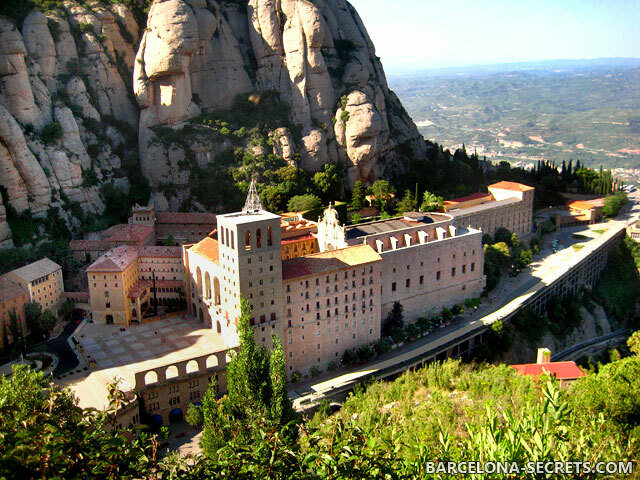 Catalans believe that he defeated the dragon here, in the old town of Montblanc. The legend says that after George vanquished the dragon and rescued the princess, red roses grew out of the monster’s blood. George handed one of the roses to the princess, and that’s how the tradition was born: since then Catalan women receive a red rose as a gift on April 23rd. In 1926, Spain declared April 23rd the Day of the Book because this was the date of Miguel Cervantes’ death (this fact caused a minor conflict with England, which already celebrated Shakespeare’s death on the same day). As this coincided with the Catalan national patron saint’s day, and a huge part of the Spanish book industry is based in Catalonia, this celebration also became very popular in the region. 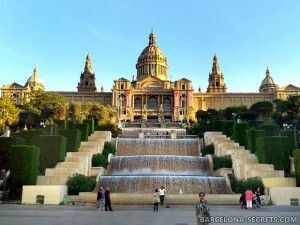 April 23rd is one of the most beautiful days to stroll through the streets of Barcelona. 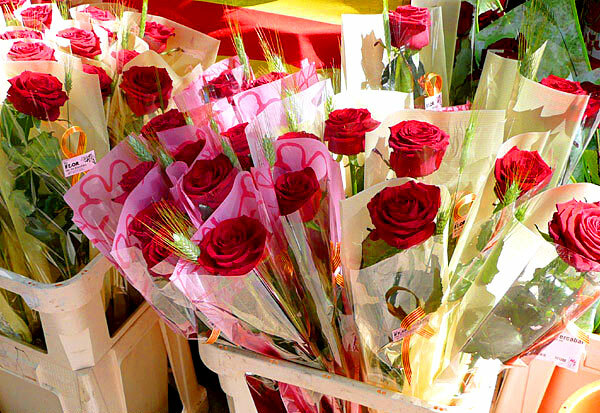 You can see hundreds of stalls selling red roses and all kind of books, particularly along the Rambla de Catalunya, Passeig de Gràcia and Rambles area, as well as the Old City and the plaza in front of the cathedral. More books are sold in Barcelona on this day than during the rest of the year! Les Rambles is busier than ever – thousands of families go there to browse and celebrate the holiday. This is probably the only day of the year you’ll see more locals than tourists here.